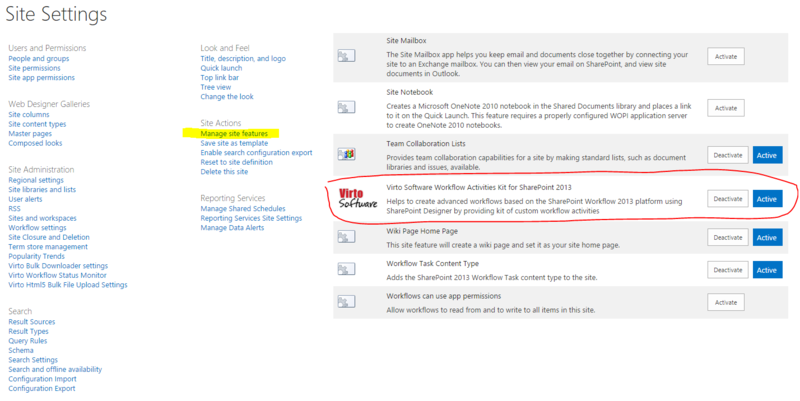 Select desired web application (usually it's Sharepoint - 80 or Sharepoint - 443) and press “Manage Features” button. If you have a non-English installation of SharePoint, you may have to copy to copy VirtoWorkflow.ACTIONS from [SP HiVE]\TEMPLATE\1033\Workflow to [SP HiVE]\TEMPLATE\"YOUR LCID"\Workflow. 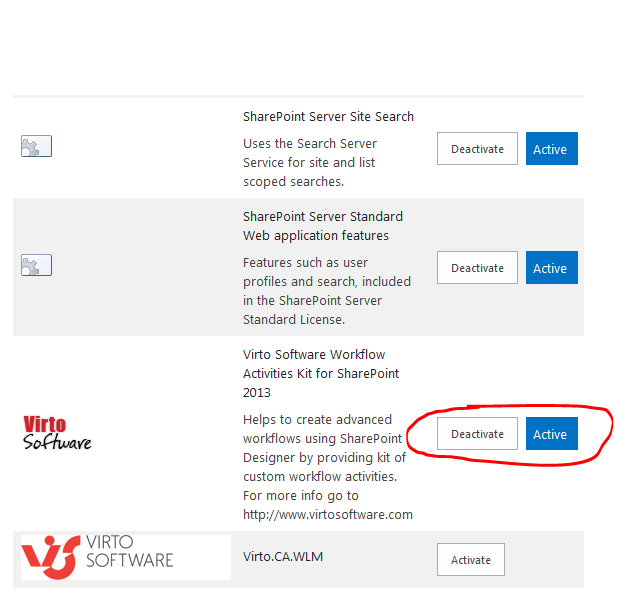 When the installation process is complete, go to site where you will to install Virto Workflow Activity, then go to “Site Settings”.